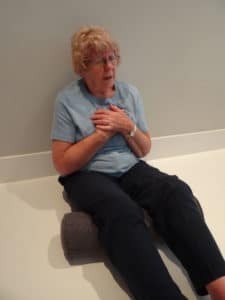 What to do if you have a heart attack when you are on your own. According to the British Heart Foundation UK statistics, someone is taken to hospital with a heart attack every three minutes. Many people will be on their own when they have a heart attack. It is vital to know how to help yourself if you are alone and think you’re having a heart attack. More than 30,000 out of hospital cardiac arrests (when the heart stops beating sufficiently) occur in the UK every year. Angina is discomfort caused by heart muscle complaining due to a reduced blood supply as blood tries to force its way through a narrowed artery. A heart attack is when the narrowed artery becomes blocked or ruptures and heart muscle begins to die because of the lack of blood supply. 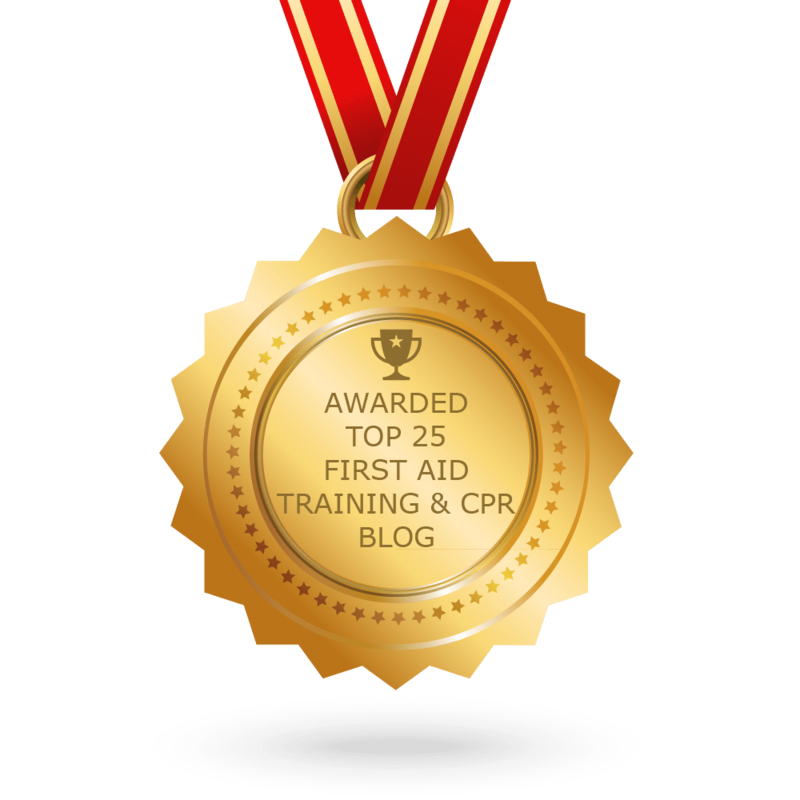 A cardiac arrest occurs when the heart stops being able to function adequately because of a heart attack or some other medical or trauma problem. The person will stop breathing and become unconscious and it necessary to give CPR, use a defibrillator and call an ambulance to give them a chance of recovery. Don’t try and drive yourself to A&E – call 999. Phone a friend or member of your family and ask them to come and be with you. If the GTN spray or tablet hasn’t helped within 5 minutes and you have been prescribed a 300 mg tablet of Aspirin – take it now. Aspirin works by slowing the blood’s ability to clot, so during a heart attack, it stabilizes any blood clots that might have formed and reduces the likelihood of further ones forming. Crush or chew the aspirin to get it into your blood stream faster. Only take a 300mg Aspirin if you have been prescribed it. Unlock your front door and sit yourself down in the lazy W position, ideally propped comfortably against a wall or stable furniture. Relax and avoid exerting yourself. Aim to remain as calm as you can. When the paramedics get to you they will start treatment immediately. Paramedics are trained to revive those suffering from heart attacks. They will quickly transfer you to hospital for treatment for the type of heart attack you have had. Each minute is vital to preventing long-term heart damage. The symptoms of heart attacks vary widely. They differ between individuals, but also between men and women. A heart attack can come on suddenly and be intense. Or it can start slowly and be mild. Some patients don’t experience any pain. Some people mistake a heart attack for indigestion or angina. 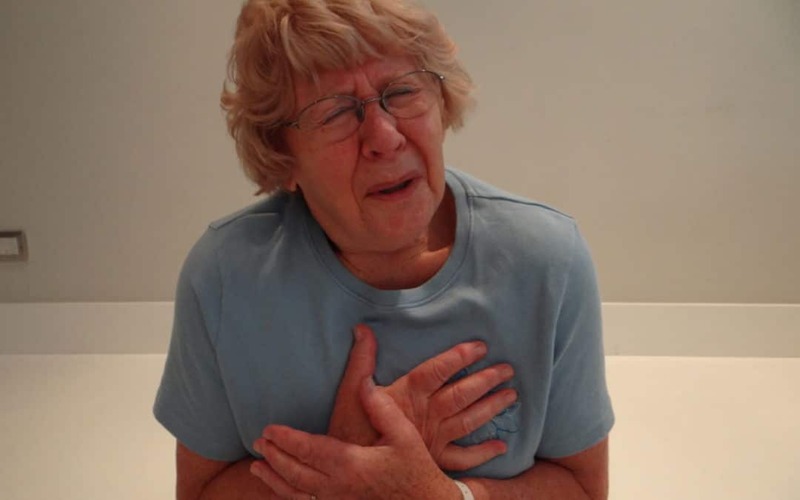 Those experiencing severe chest pain are more likely to call 999. Those experiencing less serious symptoms, don’t always seek immediate medical attention. However, responding rapidly when you suspect a heart attack can greatly improve your chances for survival and avoiding serious heart damage. 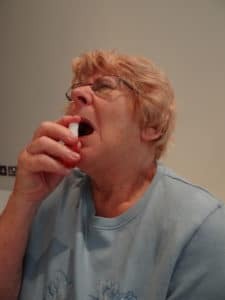 If you are uneasy about any symptoms, if you have symptoms bought on by exercise or exertion, or if you are woken up by symptoms or they come on at rest – you should always quickly seek medical help. The classic symptom of a heart attack is pain in the chest, especially in the centre, that lasts for a few minutes and comes and goes. This discomfort may feel like pressure, tightness, squeezing, or an aching sensation. The pain can radiate into the neck, arms, back, jaw, or stomach. It can manifest as pain or a general discomfort. Men often experience a heart attack as chest pain. However, post-menopausal women and anyone who is diabetic are far less likely to experience chest pain. Whatever your symptoms, you will probably feel extremely unwell and are likely to be pale, clammy and light headed – listen to those symptoms and phone for help quickly. Cough CPR is often suggested on social media as a response if you think you’re having a heart attack and are alone. It suggests that breathing deeply and coughing vigorously can squeeze the heart and keep the blood circulating. The squeezing pressure on the heart also helps it regain normal rhythm. 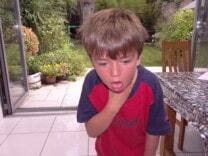 However, there is no medical evidence to support ‘cough CPR’ and many experts are dubious as to how it might work. Another urban myth for heart attacks is to drink a glass of water with a spoonful of cayenne pepper in it. Supporters suggest cayenne pepper is a stimulant capable of increasing the heart rate and carrying blood all over the body, rebalancing circulation. There is no proof, however, that cayenne pepper is useful when taken at the start of a heart attack. Furthermore, it isn’t clear how capsaicin interacts with aspirin when taken during a heart attack. Aspirin however has been proved to be helpful. The World Health Organisation cites eight risk key factors: alcohol use, tobacco use, high blood pressure, high body mass index, high cholesterol, high blood glucose, low fruit and vegetable intake, and physical inactivity. These account for a whopping 61% of all cardiovascular deaths and over three quarters of all CHD, making this the leading cause of death worldwide. Stress also plays a role. Not all heart attack risk factors are in our control; such as ageing, heredity and gender – men are still at higher risk. Stop smoking and minimize exposure to second-hand smoke. Control high blood cholesterol and high blood pressure by making changes to your diet, lose weight, take medication. Eat a healthy and balanced diet, rich in vitamins and minerals. Monitor your weight and try and lose weight if you’re overweight or obese. Diabetics should manage their blood sugar and stick to their treatment plans. Reduce stress in your life with relaxation techniques such as deep breathing or yoga or try talking therapies.